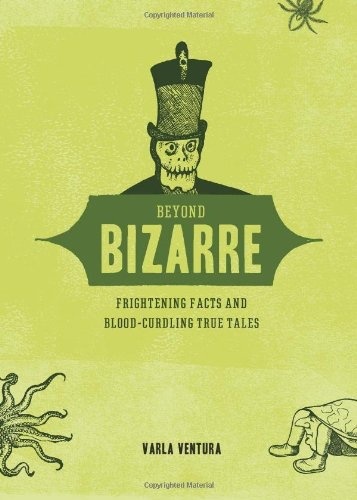 The sequel to the best-selling The Book of the Bizarre, Beyond Bizarre offers up scores of new freaky facts, terrifying trivia, and stranger-than-fiction stories. 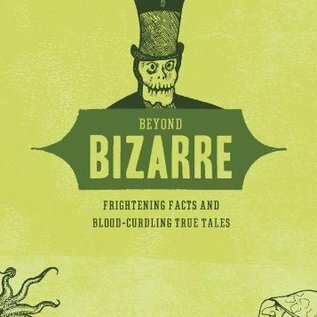 Arranged into 13 chilling chapters like Haunted Hollywood, Blood Red Crosses and Gross Anatomy: Hospital Horrors, Bride of Bizarre, and Tales from the Cryptids, Beyond Bizarre tackles everything from female pirates and creepy candy stripers to psychic predictions and virgin shark births—and much, much more. A word of warning: this book is not for the faint of heart!